Looking for a laptop today is more than confusing as there are some incredible computers available with a variety of fun features such as touch screens, 2-in-1 tablets and net books. If light and thin are on your wish list, the ASUS Zenbook (http://www.asus.com/US/) is a great choice, but if you want the experience of a touch screen you will need to look elsewhere. It is mid-range as far as cost is concerned at under $700. For similar models, you can spend up to $1349 for the Dell XPS, for example. The ASUS Zenboox (http://www.amazon.com/Zenbook-UX305FA-Laptop-Intel-Greyish/dp/B00SGS7ZH4) available at Amazon for $699.99 is an impressive model as it is an extremely thin, light and attractive, with an aluminum body, laptop. It measures 12.8 inches X 8.9 inches. Overall there are many positives to this new computer, such as it’s less that 1/2 inch in thickness and just about two-and-a-half pounds in weight. It has been ranked four and a half stars on Amazon and three and a half on PC Mag (http://www.pcmag.com/article2/0,2817,2480750,00.asp) and it has left many customers pleasantly surprised. There are many USB ports along the sides even though it is a thinner model, which is wonderful for charging cell phones and the like. There are ports available for a microphone and headphones as well as output for visual and audio needs. Compared to a similar product, the Mac Book Air (128 GB) the Zenbook has twice the amount of storage (256GB) available for your files and apps. It is 8G in speed and the power allows for most professional and casual gaming necessities. The battery life is approximately 10 hours, which is another great feature for out of office events and meetings as well as for flexibility and convenience. A similar model, such as the Lenovo Yoga which is over $1199 with less power. This is yet another example of how the machine measures up. There are many installations included in the set up, most importantly Windows 8.1, a 30-day membership of Microsoft Office 365 and Netflix. There are literally hundreds of downloadable apps to personalize the laptop. Some of them you may not need and they are easy enough to remove. The display is an amazing HD 1920 X 1080 resolution. It has a matte finish for anti-glare visuals and is equipped with an IPS (In-Plane Switching) panel that allows for excellent color and a 170 degree viewing angle. The downfall with the matte finish is the loss of intensity in some of the darker colors. The streaming capabilities are excellent for presentations and HD movies. As far as security options are concerned the Zenbook has a built-in case lock as well as Intel-Anti Theft technology and Lo-Jack capabilities.There is a one-year warranty that ASUS offers for accidents such as a drop or spill. The speaker system (Bang and Olufson) has been given mixed opinions due to some buzzing at high volumes since they are installed on the bottom side. The machine itself is completely silent and does not have a fan system. ASUS AudioWizard has some great features that allow for a wonderful musical experience. It is a comfortable keyboard as you type away on the smaller keys and the touch pad measures 4.1 inches X 2.9 inches. The drawback is the lack of a back light if you need to work in a darker environment. The ability to video chat is exceptional and has a 1.2 megapixel HD camera. There is a low light sensitivity aspect that allows for a great viewing experience. Most standard cameras are 15 fps (frames per second) but the Zenbook has double that capability at 30 fps. So there you have it. It is a great deal and a smart choice for $699 and measures up easily against similar as well as more expensive models. There are many more pros than cons depending on your taste and needs as it is a powerful machine, with great storage and speed capabilities. The security perks and battery life are a couple of the aspects that stand out. 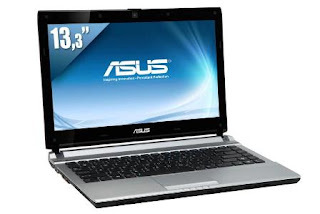 ASUS is a leading technology company and has some great offerings with regards to netbooks, notebooks, motherboards and laptops. They have a great customer support service center which is available 24/7 for questions and concerns. When it comes to budget laptops, compromising performance for price can be risky and ultimately a costly decision in the long run. The Asus EeeBook X205TA is so cheap that it brings those concerns. But is it so cheap that it’s worth avoiding, or do Asus buck the trend and produce a model that gives customers great performance as well as good value for money. This Asus EeeBook X205TA review will address the questions you may have, and point out the pros and cons of this model. The Asus EeeBook X205TA is a netbook which runs on the Windows 8.1 operating system and it looks to deliver the best possible Windows experience its specifications will allow. For its price – the EeeBook retails below $200 – the performance of the laptop is admirable. Equipped with a 1.33GHz Intel Atom processor and 2GB of RAM, the netbook can cope with running multiple small-scale operations. These types of products are tailored for students or those looking for a work computer and therefore while a 32GB hard drive may seem tiny, it is still easily big enough to hold tens of thousands of files. In addition, the sort of operations that would most regularly be carried out on a netbook (word processing, internet browsing) do not require masses of power, hence, the processor is not as inferior as it may appear at first glance. Perhaps the X205TA’s biggest selling point is its tremendous battery life. Testing indicated that the device could last for up to 12 hours of continuous use – far longer than any of its competitors, and four hours longer than the netbook average. The speakers have a high maximum volume for a netbook too. A further workout indicated that the Asus EeeBook X205TA doesn’t overheat either, and could play videos for an extended period of time without rising much above 80 degrees Fahrenheit (http://www.laptopmag.com/reviews/laptops/asus-eeebook-x205ta). Asus haven’t tried to do too much with the design, and that isn’t such a bad thing. The minimalist look works well, and the dark blue color helps to produce a professional look. However, one major criticism is that the Asus EeeBook X205TA can quickly begin to look dirty because of the fingerprint marks that it leaves. The webcam can also appear grainy too and only offers a 420p resolution, which is below par and possibly undesirable if you want to use the netbook for business calls. Most people will be looking to do a lot of typing with their netbook so having a well laid out keyboard is important. The EeeBook performs well in this department and allows for quick typing once one gets used to the tight layout. But the touchpad has drawn complaints (http://www.computershopper.com/laptops/reviews/asus-eeebook-x205ta) with some suggesting that the fingerprint scrolling system doesn’t often work well. The Asus EeeBook X205TA has an 11.6 inch screen which has a 1366 x 768 resolution. It has an Intel HD graphics card which handles videos easily and manages to run games better than some netbooks, although as expected it comes up short with games which demand high specifications. Attached is a headphone jack, a micro HDMI port, two USB 2.0 ports and a slot for a microSD card, which is ideal if you are looking to increase the storage. This netbook excels with its dimensions and weight. It is a nifty netbook which is perfect for taking around with you. The computer has a 0.6 inches high, 11.2 inches wide and 7.6 inches long. Combined with a weight of just 2.16 pounds, you won’t even know that it’s in your bag. It’s also noticeably lighter than some of the other netbooks around. Companies are focussing a lot on the budget netbook market nowadays and as a result there is a lot of choice in the market. The Asus EeeBook X205TA compares well to those it is up against, and does not disappoint for its price. While not the fastest netbook, it isn’t slow either and the model trumps all of its rival with the massive battery life. This product isn’t going to be on your radar if you’re looking for a traditional powerful laptop, but it’s an ideal device for those who need a device to carry out work. Asus have fulfilled that objective well and have come up with one of the better netbooks of 2015. 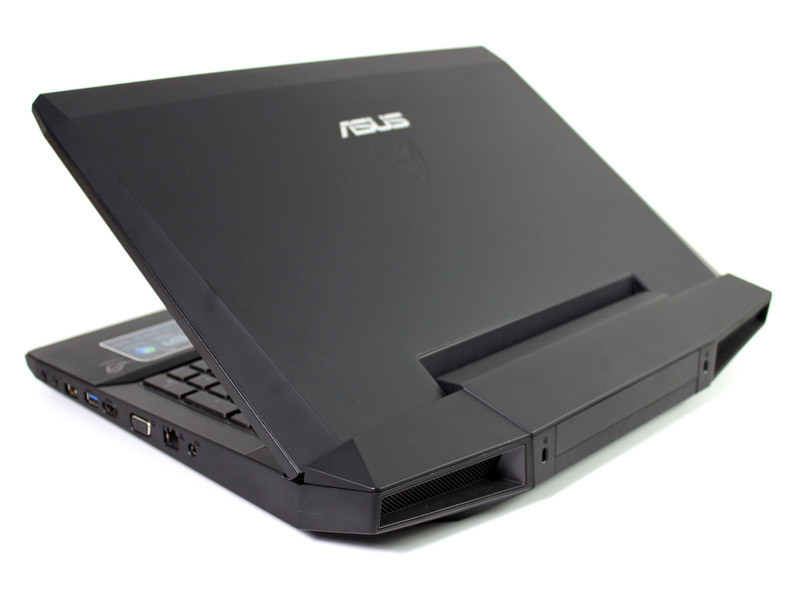 Asus has a while back launched its Lamborghini-inspired netbook, the Eee PC VX6. 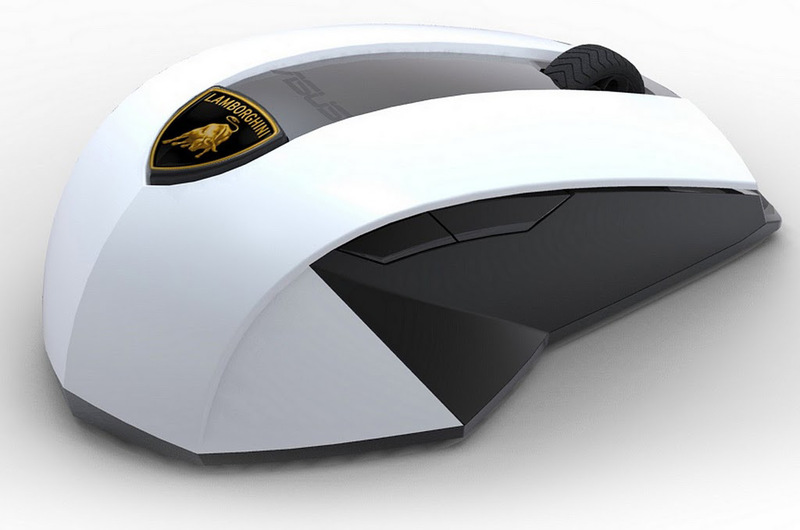 The Asus Eee PC VX6 Lamborghini Netbook looks like a sports car and a laptop mixed together. It’s pretty obvious considering the fact that it was manufactured in conjunction with Lamborghini, the sports car brand. The Eee PC VX6 netbook comes in a really nice design in a nice silky pearl exterior coating with a Lamborghini badge located in the middle of the case. 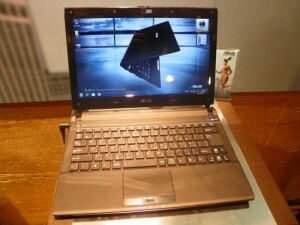 It is powered by a 1.83GHz Intel Atom D525 dual core processor. It comes with 4GB of DDR3 RAM, and a 320GB hard drive. It also features with NVIDIA ION 2 graphics. The Eee PC VX6 Lamborghini from Asus comes with a 12.1-inch display that can feature bright colours with a nice all-round contrast and a resolution of 1366 x 768 pixels. It comes ready with audio by Bang & Olufsen ICEpower so you can expect the sound to be above average. The netbook is out now at the price of $700. For all those who have been waiting for this notebook to be release, get ready to break open your piggy banks as Asus has announced the release date and price of its NX90J notebook. Aside from the NX90J laptop, Asus also revealed the release date and price tags for its other laptops, some of which were first unveiled at the CES event earlier this year. The Asus NX90J is an 18.4-inch multimedia notebook that comes with Bang & Olufsen’s audio system. It comes in a nice and unique design, not forgetting with its dual-touchpad which is not a sight we see on all laptops. The device comes with a Core i7 chip. It has 8GB of RAM and features dual 640GB hard drives. The Asus NX90J will be released by the end of this month at the price of $2,300. With a price tag as such, it better be good!